Two great ideas and 20% off? Yes please! With Mothers Day (26th March) fast approaching and Fathers Day (18th June) not far off either how about doing something a bit different from flowers or Top Gear dvd’s and make some unique art for your loved ones by your loved ones with a little help from me. To celebrate 20 years in business I’m offering 20% off a couple of new products I’ve been working on. 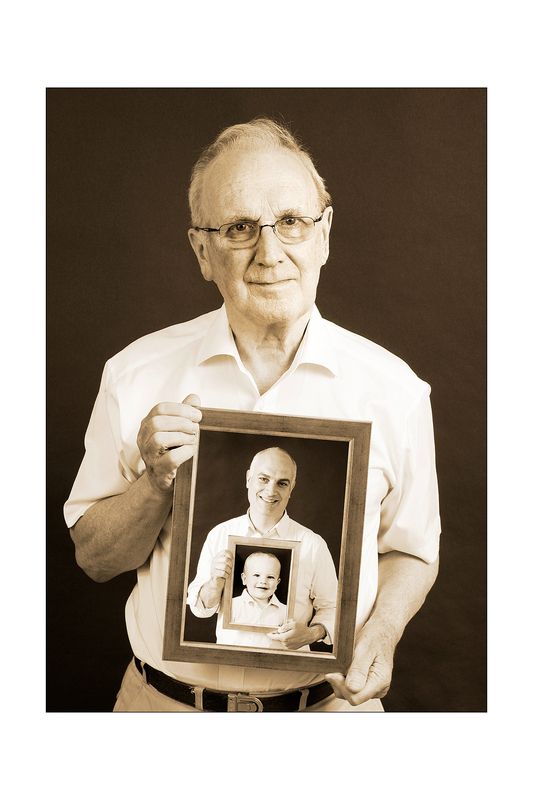 The ‘Generations’ picture (shown above) can be created with as many people in it that you’d like although the more you have the smaller the smallest picture will be. Three generations is perfect and gives the fantastic result shown above. Usually priced at £155 for a 12×16 inch finished framed item I’m happy to take the pictures, make the composite image and provide the finished item ready to hang on the wall for only £124. Other sizes can be made by request but I would advise against going bigger than 20×16 inches as the frame will hide too much of the person holding it. Or how about having some pictures taken and framed as silhouettes? 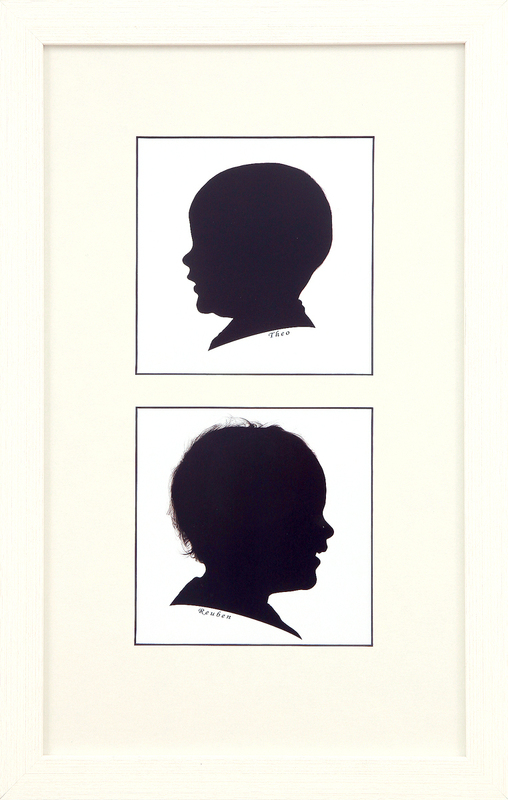 Again this product has 20% off the usual price with the first persons silhouette now costing £64 (usual price £80) and subsequent silhouettes of other family members costing £32 each (usual price £40). This includes the picture being taken, silhouette made and a 10×10 inch finished print framed up and ready hang on the wall. We only use Photoshop techniques that allow us to retain lots of detail in the hair, unlike some other silhouette makers, to give true representations of the models. Poses can be framed horizontally or vertically, for more than one person obviously, and names can be added to the image at no extra cost. A frame with 2 silhouettes in it will be 18×10 inches overall. We usually use limed white or black box frames but I can offer alternatives if preferred. Note: If you have profile pictures that you think could be used instead of me taking the pictures do send them to me and I can advise on suitability and a discount will be offered on the cost of the product. These 20% off offers are valid for payments taken before 30th April but the photo shoots can be booked for any time. If these ideas don’t interest you please have a look at my new website at www.itphoto.co.uk for some examples of my work and contact me for prices and more information.